The range of academic assignments varies from qualitative and quantitative essays to analytical research papers, from movie and literature reviews to scientific dissertations. Apart from the differences concerning the focus of writing, academic papers have a different word count. The common approach to the minimal length of any academic writing involves a one-page work which includes about 250 words. As for the structure, a 250-word essay consists of an introduction with a thesis statement, two-paragraph body beginning with a topic sentence, and ends with a conclusion. Sounds simple? Don’t rush to say, “Pffft! I manage to write essays with a word count more than 250 words.” But what about wide-ranging topics? Such broad issues are presented in this guide – “Mass Media and Technology”. Let’s find out what can help you write a 250-word essay. Follow our 5 instructions to do it successfully. Set the aim. 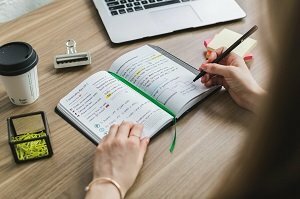 Primarily, the main aim you should achieve in your essay is to come into a clear focus on the topic with a few reasons backed up by reliable supporting details. However, there are other additional purposes of essay writing – to explain, describe, compare, persuade, and so on. What is yours? Look at your assignment and point out the keywords. After that, it will be easier to set the aims and objectives of your writing and stick to them during the writing process. Remember, you have only 250 words to meet the main purpose of the essay. Brainstorm some original ideas. Today, interesting essay ideas are found actually anywhere – in news, newspapers or magazines, on TV or the Internet. Check out the headlines currently appearing in your news feed. Starting out from this point, you have more chances to find the less-investigated aspects of the topic as you know what is being explored and what isn’t. Keep your pen or phone within the reach (the latter is always at hand, right?). Sometimes, interesting ideas are coming accidentally – in a bus or in a class. Write down all of them to return every time you are assigned to an essay. Answer the questions before starting an essay. What are these questions which you should answer? Look at the picture below! 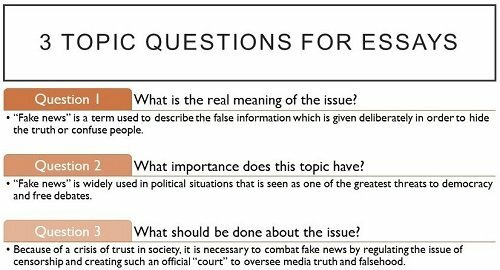 After you answer these questions, you can prepare a strong thesis statement for your essay. Remember that an essay is based on a thesis statement? So don’t forget to include it in your own essay. Deal with the parts of an essay – an introduction, body, and conclusion. Each part plays a specific role for your reader. In the introduction, he/she wants to know what an essay is about. In the body, they expect to see all the details that are included in a well-structured manner. What does “well-structured” mean? Your essay has the logical flow of thoughts connected with the help of some transitional words and phrases. At the close, your readers need to know why they read your essay. Sum up all the ideas with a logical conclusion to the essay question. Stick to the basic essay writing format. What does it involve? A basic essay format includes a structure (that is introduced to you previously) and an academic style. All that helps to achieve unity and coherence of the text and enhance the reader’s understanding. Besides, you may need to follow the APA, MLA, Harvard, or Chicago format guidelines when using in-text citations and working on a ‘Works Cited’, ‘References’ or ‘Bibliography’ page. It allows you to give credit to your essay. Don’t miss this opportunity! It is impossible to imagine the modern world without mass media and technology as they have become the essential parts of the every-day life of many people. Consequently, there are positive and negative sides of media and technology, which have to be discussed throughout the 250-word essay example. Among the main positive effects of mass media is the ability to obtain and share knowledge, develop skills, discover other cultures, and learn some information on how to interact with other people. Indeed, not only entertainment programs take place on the Internet and TV. Different news, culinary, healthy lifestyle, sport, and narrowly-specialized programs can be watched on TV as well as the huge number of information on the diversity of topics can be found on the Internet. However, drawbacks of media outweigh its benefits. The most serious problem of media abuse is the addiction which leads to problems with communication and analytical thinking. Moreover, the idea of privacy is lost in the light of social networks as people may use private information against one another in order to threaten or blackmail colleagues. What is more, social media is full of unnecessary information which lumbers the brain. To sum up, one has to state that mass media and developing technologies have both, benefits and drawbacks, which influence human lives in many ways. In the case of social media abuse, the disadvantages overwhelm the advantages because the list of positive effects is limited to the idea that social media is a source of information on any needed topic. Rebecca N. H. de Leeuw, R. & Buijzen, M. (2016). Introducing positive media psychology to the field of children, adolescents, and media. Journal Of Children And Media, 10(1), 39-46. Healey, J. (2011). Social impacts of digital media. Thirroul, N.S.W. : Spinney Press. How to Deal With Negative Media Attention. (2015). Nonprofit Communications Report,13(3), 6-6. Noor Al-Deen, H. S., & Hendricks, J. A. (2012). Social Media: Usage and Impact. Lanham, MD: Lexington Books. Rim, H. & Song, D. (2016). “How Negative Becomes Less Negative”: Understanding the Effects of Comment Valence and Response Sidedness in Social Media. J Commun. We can be calm when all the essential information on how to write a 250-word essay is given to you. Moreover, you’re equipped with a good example of a 250-word essay to follow it and write your own masterpiece. Take into consideration all the 5 references on the topic if needed. Remember that any good essay writing does not happen by accident. Practice! Practice! And follow our guide!